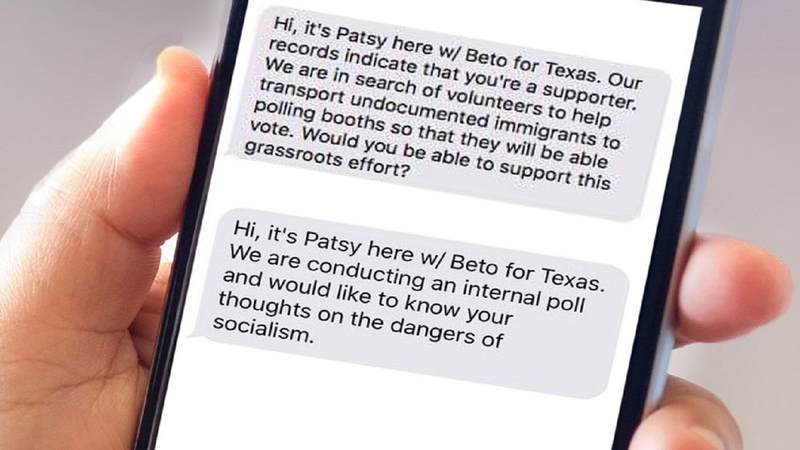 The Texas battle between O'Rourke and Cruz heated up on Thursday over an intercepted text message asking its recipient to help “transport undocumented immigrants to the polls.” The message appeared to be from someone in the Beto O’Rourke campaign. A spokesman from the O’Rourke campaign says the sender was an imposter. The screenshot of the text message was posted on Twitter by @JerryOchoa. We do know that O’Rourke is ok with Flag Burning. He is also campaigning to take our Second Amendment rights. Don’t forget to vote, and take a friend with you. Vote red! Damn Democrats… All they know how to do it cheat! Just who do they think they are kidding. We all know Democrats cheat to win elections.